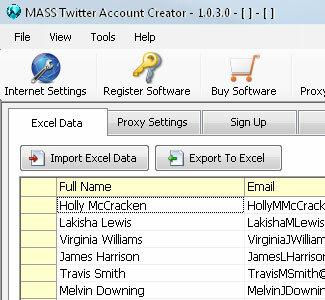 MASS Twitter Account Creator is a light weight and very easy to use application that will help you to create multiple Twitter accounts with ease. 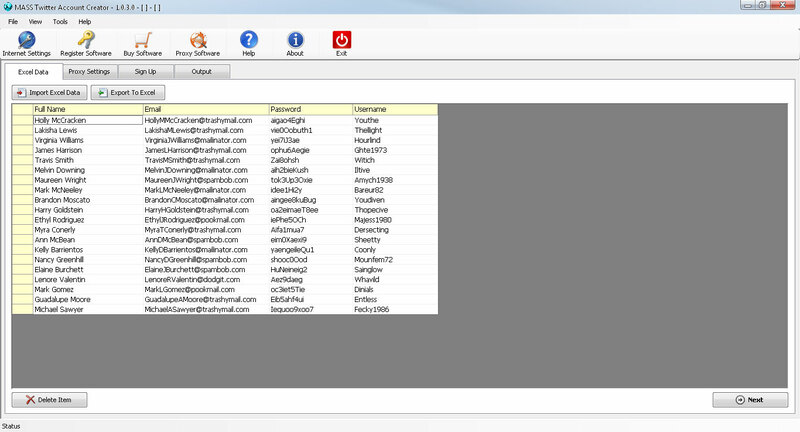 With this application you can create Twitter accounts without data typing and without any copy paste method. Simply add excel file that give in application folder this standard file that read our application, once you add data in this file in correct format then you can use this file in this application. Data is automatically added in “Sign up” page of Twitter, you simply type captcha code in it.